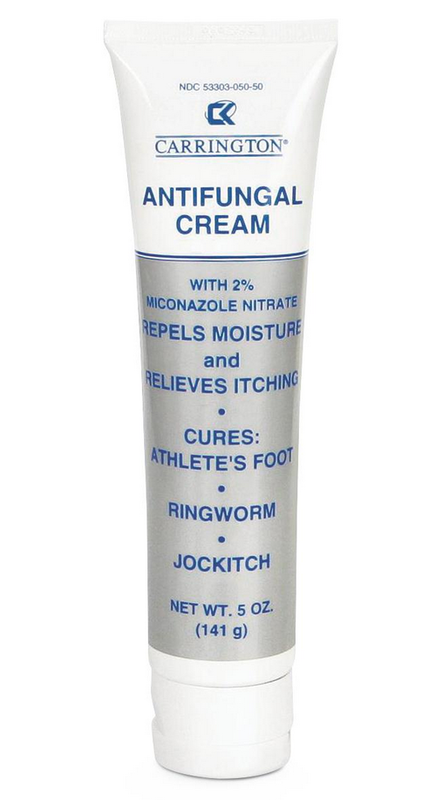 Antifungal Barrier Cream by Carrington BUY Miconazole Nitrate Anti Fungal Cream, CRR105050. 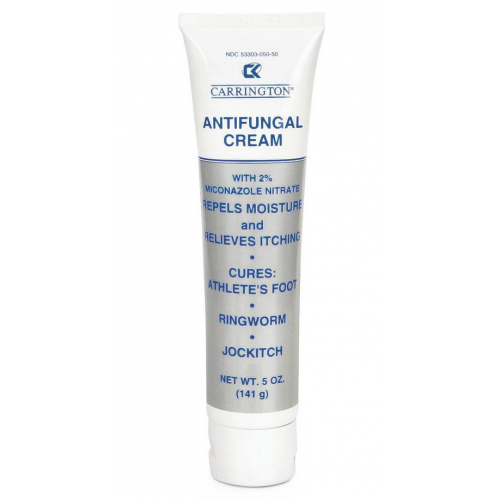 Antifungal Barrier Cream by Carrington provides relief from itching, burning, scaling, and discomfort from skin conditions such as athlete's foot, ringworm and jock itch. Additionally, Carrington Antifungal Barrier Cream can protect skin from irritation caused by incontinence and feeding tubes. This anti-fungal cream contains 2% Miconazole Nitrate and Acrylic copolymer to repel and protect the skin from moisture.